Warm, inviting atmospheres, rich wine history, stories and sophisticated delicacies — let's not forget a glass in hand — these top ten bars in Milan offer nothing less than perfection. N'Ombra de Vin, Drogheria Radrizanni, Vinoir, La Cantina di Franco, and peck. Opened in 1896, this tiny little wine bar has a legendary status in Milan, and for good reason. Hospitality is at its core, with every wine on its very extensive, very high quality list served by the glass. While wine is absolutely the focal point for this bar — particularly Italian and French drops — there’s also a range of snacks on offer, all designed with pairing in mind. And it’s always busy; Cantine Isola is located in Chinatown, an area which, over the past decade or so, has experienced a boom in wine savvy Chinese inhabitants. 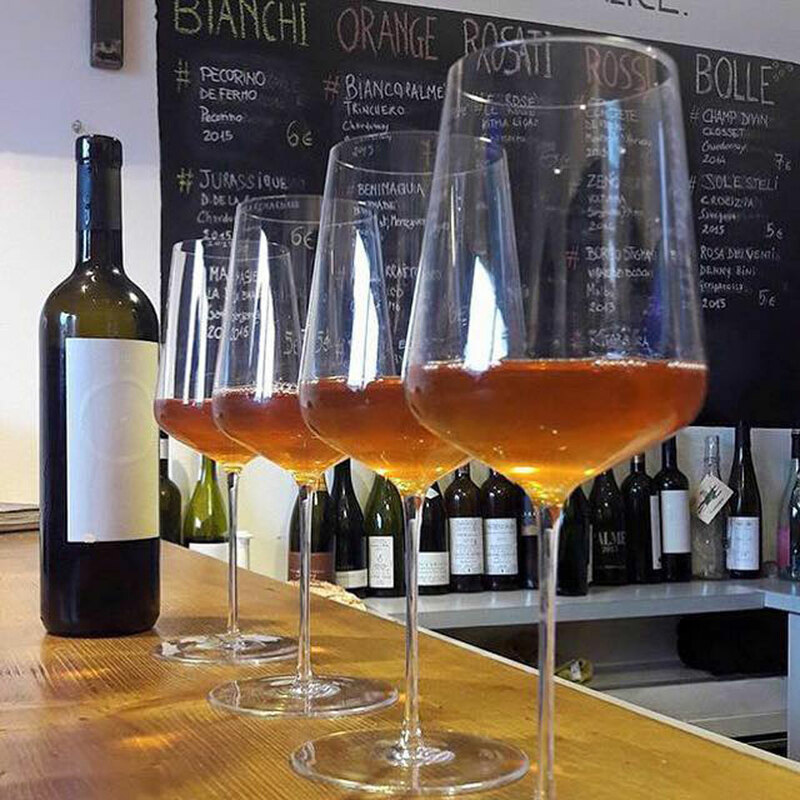 A five minute walk from Bocconi University, this hole-in-the-wall wine bar punches well above its weight. Its very modest kitchen delivers a great and ever-changing selection of bites, including its celebrated horse meat tartare, and its small list of wines by the glass almost exclusively celebrates boutique producers. The real fun, however, is taking part in La Cieca’s vinous guessing game. Taking cues from its name (which translates to ‘the blind’), La Cieca staff will pour a glass from a bottle wrapped in foil, into a black glass. If you’re able to guess the variety and/or region, it’s on the house. It's definitely worth a shot, I say. Vinoir is a point of reference for anyone seriously interested in the modern wine scene in Milan. Set apart from the other establishments — in the often chaotic area of Navigli — this is a homely, peaceful oasis offering solid bistro food and a wide selection of natural and biodynamic wines, by small artisans. Opened in 2012, Vinoir is far more than an enoteca, however. Its owners, Maddalena and Gianluca, absolutely live and breathe wine, and they’ve made it their mission to impart their knowledge to the willing, with plenty of wine literature, and arguably even more discussions on offer at the bar. This would have to be one of my favourite places in Milan to have a vino, especially when there’s room in its lush and elegantly designed courtyard. A relatively new addition to Milan’s urban bar scene, Sixième is going from strength to strength, set in the Six Gallery complex that also includes installation space, architectural studios and a florist. The brainchild of Australian rock industry icon, Nic Cester and his business- and band-mate Sergio Carnevale, Sixième offers a small but solid list of quality wines, served in one of the city’s best people-watching positions. 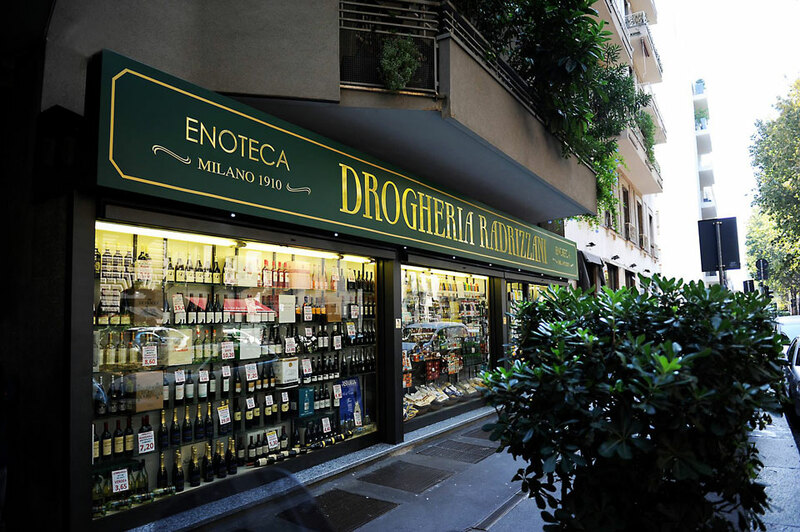 A Milanese icon, Drogheria Radrizzani has history dating back to 1910. While it might seem like a humble minimart from the streetscape, venture inside and you’ll find yourself immersed in a showcase of some of the very finest boutique food and wine products. Whether it be pasta, chocolates, balsamic vinegar, cheeses or the illustrious Alba truffles, Drogheria Radrizzani prides itself on offering the very best, and matching it with impeccable service. 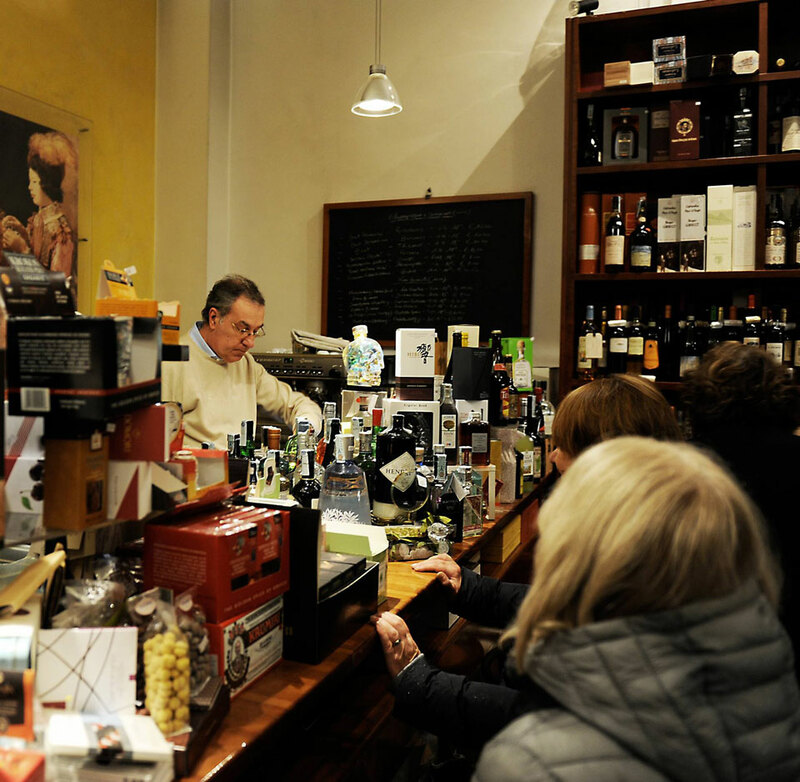 The wine shop boasts very affordably priced bottles from some of Italy’s finest wineries, and Saturday tastings give locals and tourists alike the chance to sample some of its best drops. 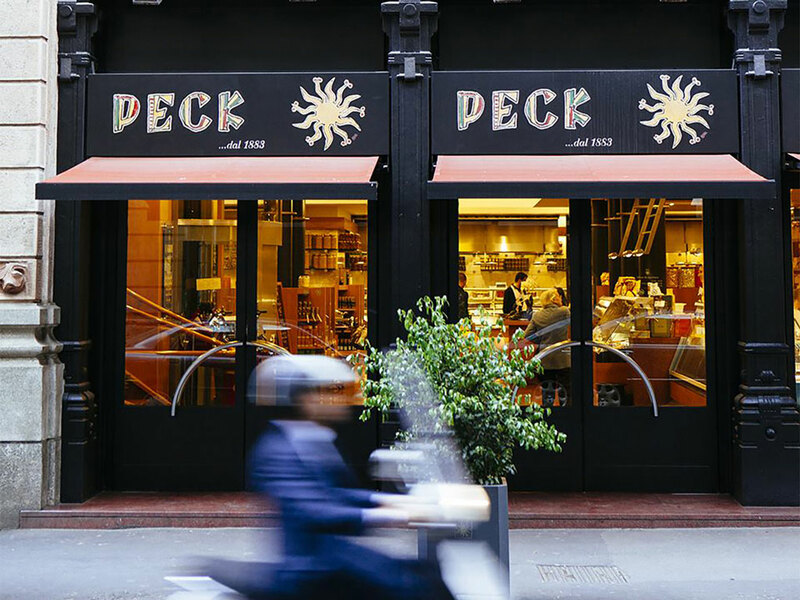 Established in 1883 and at the time only offering smoked meats, Milan’s Peck has evolved into an iconic food and wine lover’s paradise with an unrivalled reputation. Italy’s most famous food store, Peck is spread across three levels, and offers everything from oils, vinegars, pasta and cheeses to truffles, seafood, top-notch take-away meals and, downstairs, a wine store like no other. Boasting one of Italy’s most comprehensive retail wine offerings with over 3,000 labels from around the world, the cellar is also a great spot for a drink at the bar — often quieter than you’d expect. Enjoy snacks and sip on some of Italy’s best and most interesting wines. An absolute must-visit, in my books. A stone’s throw from La Cieca, and again just around the corner from Bocconi University, Vinodromo is the perfect place to sip the evening away. It’s so easy for time to escape you here, with the owners putting particular effort into the chic design and warm atmosphere — this really is an ideal spot for the colder months. The service is equally endearing, and the food is interesting and locally inspired. With a focus on boutique producers and more than 500 different wines on offer, there are plenty of reasons to make yourself comfortable at Vinodromo. Residing in what was a 1500s refectory of the Augustinian Friars, next to the Basilica of San Marco, N’Ombra de Vin is grand in many ways. 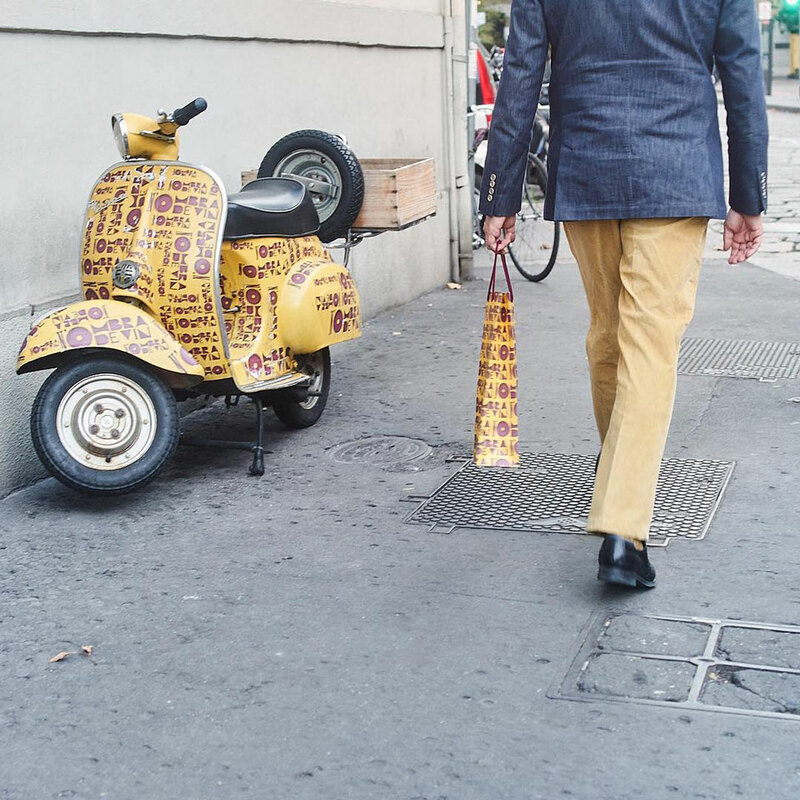 Still housing the building’s original stone columns, walls and floors, owner Cristiano Corà has transformed the establishment from being a somewhat exclusive haunt for Milan’s most educated wine drinkers into a chic and lively place to see and be seen. In addition to its exceptional wine offering is a sophisticated and diverse lunch and dinner menu with options ranging from foie gras, croque monsieur and salumi, to artichoke carpaccio and a whole pork shank. With almost 2,500 wines to choose from, La Cantina di Franco is a labour of love for owner Franco Caprino, who in 1999 left a 30-year career in the financial sector to realise his dream of creating a premium wine and gastronomic experience in Milan. Today, Cantina di Franco offers Milan’s largest selection of magnums, not to mention almost 500 distillates. 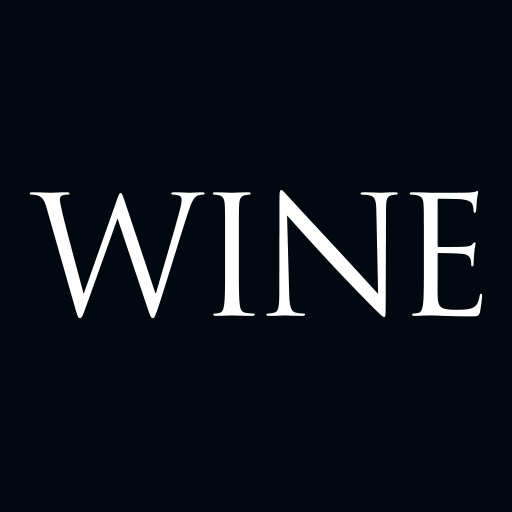 In terms of wine, there are plenty of big French drops and other world wines, and of course an impressive selection from some of Italy's finest and most iconic wine producing regions, including Piedmont, Tuscany, Valpolicella, Friuli and Alto Adige. At El Buscia, it’s all about bubbles. Spumante, or sparkling wine, is the star of the show here, with a wide range of countries, regions and price-points on display. The very best Champagne houses are celebrated alongside almost unheard of producers at this modern wine bar. It’s worth grabbing a bite to eat, too, with the small kitchen delivering a good range of tasting options that can include the likes of tuna tartare or salumi platters with bresaola and wild boar sausage.